At present, QR code are popular on not only the product but also business. Just need a smartphone, you can do QRcode scanner to be provided information easily. QR code scanner machines are widely used to scan Qrcode as ISBN, EAN, UPC, matric data or other codes. QR code Reader can scan and read barcode from an available image on your mobile phone. Barcode Reader save your bar history scan. QR Code Reader can search bar code product information on Google, Internet fully and detail. 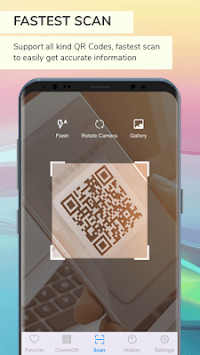 History helps to store the QRcode reader you searched for, which helps you to review your previously searched Qrcode code quickly without scans. Sound settings for scans, ringtones, etc. 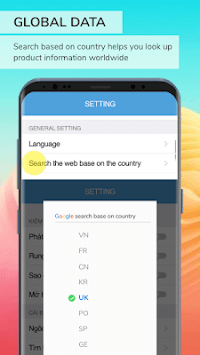 Configurable barcode product selection by country. The software also supports flashlight, which helps you read better Qr code in low light or night mode. 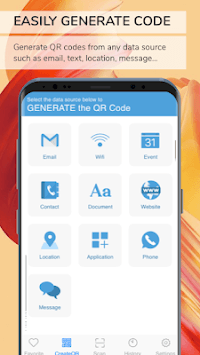 So, when you buy a product, use our QRcode Scanner - Barcode Reader- Create QR code software to know the product information, product details, price. To ensure that users have full information about the product, check information about the product via QRcode will be updated by us next time.